Millions of digital images linger on computer hard drives. Online photo processing companies offer convenient ways to get the best images onto paper and into the open. 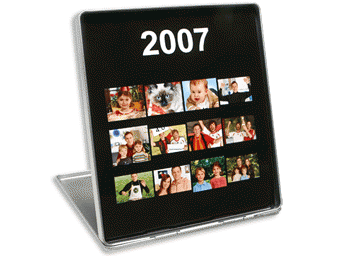 FotoInsight offers a choice of photo calendar layouts which can start any month from now to the end of year 2008. This is a personal photo gift idea not just for Christmas but for the whole year. Cambridge, Germany. 26 October 2006. – In time for the holiday gift shopping season, FotoInsight of Cambridge launches an innovative way to tailor a photo calendar from the growing number of personal digital photographs. Presenting someone with a personalized, beautifully laid out calendar with own photographs is arguably one of the greatest gift ideas. Digital camera users can edit their own photo calendar online at http://fotoinsight.co.uk/photo-calendars.html where it will get professionally printed. Available as a wall or desktop calendar, most models cost just £9.99 and don’t require any software to be downloaded. Each calendar runs for twelve months with space for an additional picture on the cover sheet. Customers making wall or desktop calendars can define which month they wish the calendar to start, great for example as a gift for a birthday in November or a wedding anniversary in May. With the FotoInsight photo calendar print service it only takes minutes to create a complete, personalized, high quality photo calendar using the summer holiday pics or to create a review of the past year. Interested users might want to create an art calendar edited with their own digital pictures. Images can be uploaded through a Windows or Mac internet browser one at a time or all thirteen images as a ZIP or RAR compressed folder in one go. The layout tool allows zooming and adjusting images before getting the calendar printed. Publishing permission granted; 541 words. Copy or link appreciated. Keywords: Photo Calendar, photographic calendars, software, editor, new product, decorative calendar, personalised gifts, photo printing, digital camera, FotoInsight. The photo album is dead, long live the photo book. Free photo book software offered by online photographic services makes it easy and economical to create photo books in different formats, sizes and types of binding. Online services offer a range of options for individual lay-outs with own photographs. Professional print on hi-gloss paper provides coffee table style photo books. The latest offering comes from printing-1 and promises an even greater choice of photo book styles. London, GB. 30. October 2006. 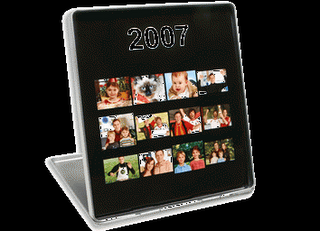 – During the past year personal photo books have become one of the most popular photographic products and are about to replace the traditional photo album. Rarely has a product evolved as quickly as the photo book. The different suppliers compete with ever more flexible software for the top spot with the consumer. With the launch of its new Windows and MacOS photo book software printing-1 is claiming to take the concept a step further. According to printing-1 a durable, quality binding process is becoming more important, as increasingly big photo books are being ordered, containing often hundreds of images. The binding process used by printing-1 takes an extra day to prepare, but allows for large photo books with up to 144 pages and space for hundreds of images. The new online photo service Printing-1 offers a range of photo books and scrapbooks, including small photo booklet, square photo books and A4 size books in different shapes and colours. Printing-1 photo books are offered in a range of three bindings methods (staple, spiral and book binding) with soft and hardcover. The smallest hardcover book bound is 36 pages, the largest contains up to 144 pages in hard or soft cover. Staple or spiral binding is available with 12 pages or more. Printing-1 photo book covers provide a range of colours and can be edited. According to Printing-1, during the software development special emphasis was put on ease of use and creative freedom. Images are not only fully scalable and can be positioned freely on any page, each frame can be defined individually. Also the page number feature can be switched on or off for individual pages in order not to spoil a beautiful full page image. Instead of limiting creativity through an automatic assistant the program provides templates to help positioning images after which they can still be adjust or moved. In general, the new photo book application entices creative experiments with the lay-out tools. 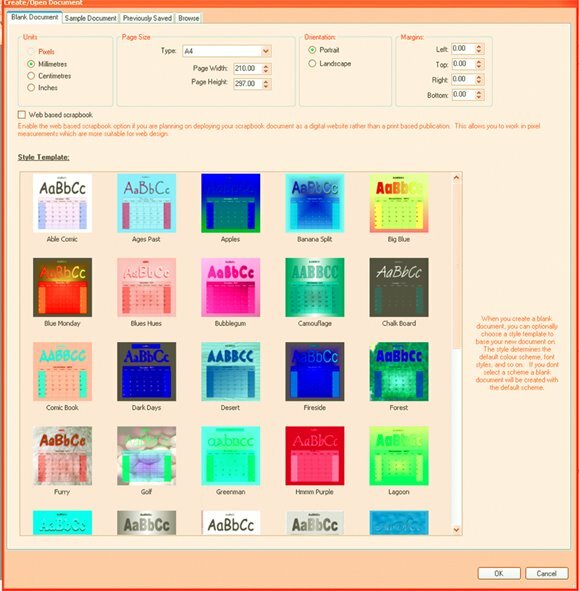 Printing-1 is going down new paths: The program not only offers a choice of matt and glossy covers, it also allows to switch between binding types and book formats at any time. Individual photo books can be saved as separate projects. The photo books have to be uploaded to Printing-1's website first, before placing an order where they will be stored free of charge for up to two month. This allows users to invite friends to view their Printing-1 photo books online. So after for example a large party or wedding, friends and family can view and comment on the scrapbook project and ever order and pay for their own printed Memorbook, Printing-1 also provides savings when a photo book is ordered as a present and send directly to friends or family abroad (including the USA), using a separate delivery address. Beyond the use of layout templates, each page can be edited freely. The editing tools include free scaling, rotating and positioning of photographs. A line around an image helps to set it against coloured backgrounds. Frames can be defined individually around each picture and images can also be printed frameless across a full page or even double page, providing the right format for landscapes and other photographs requiring a larger space. The printing-1 software also provides a tool to post-edit images individually. This allows giving images a degree of semi-transparency, an interesting effect on some overlapping images. With digital photo books the many digital memories vanishing on ageing computer hard discs can finally see the light of day. The digital photo service Printing-1 delivers in the UK and most European countries and the USA within two weeks of ordering online. Ordering professionally printed photo books from own images is rapidly replacing the “stick-in” photo album. Printing-1 offers a Windows and Mac OS compatible, online photo service for digital camera images, specialising in digital photo books and photo canvass printing. The hi-tech process used reduces the costs, allowing Printing-1 to offer photo booklets from £7.95.- (plus postage & packaging £4.90 (orders over £100 ship free). Different volume discounts are offered when ordering five or more of the same photo book. Printing-1 Limited started in October 2006 in Cambridge as a British-German joint-venture. Der Internet-Service is specialising in high quality, modern photo print products like photo books and photo canvas printing. IITM is a specialist agency and will be delighted to arrange interviews, images, NFR versions for review and discuss opportunities for software reviews, cover mounts, incentives, OEM versions. Photo book: The future of Scrapbook Creation is here! Greenstreet break with tradition by introducing a revolution in scrapbook creation – a mess free, time saving fade-proof record of precious memories for print, for the web and which can even be viewed on your TV! Cambridge. 1 November 2006. - In the age of the digital camera and camera phones we all snap away happily taking lots of pictures to remember events by. However generally these languish on computer hard drives and the personal memory fades as to who, why, where and what the pictures were about. Which is why in recent years scrapbooking has seen a revival. Greenstreet have combined the digital age with the rapidly growing interest in scrapbooking and taken this to the next step by creating Greenstreet’s Digital Scrapbook – bringing all kinds of new possibilities to the art - providing limitless supplies and making it easier and cheaper to capture moments in time and to share with friends and family. 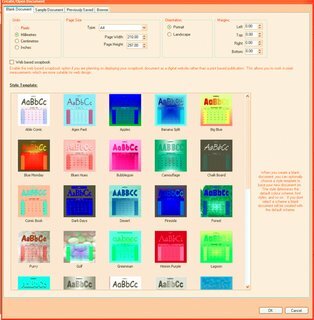 “We are delighted with this sensational piece of software, it has been carefully crafted by our own in-house developers to provide users with a digital scrapbook which provides unlimited possibilities! With the explosion of the digital camera and mobile camera ownership, it’s only logical that the demand for digital scrapbooking will continue to grow.” commented Jeff Fenton, CEO, Greenstreet Software Ltd.
Digital Scrapbook is released 1st November with a SRP of £29.99. Greenstreet are a world leading developer & software publisher focusing on the sale of top quality, innovative products developed both in-house and by outside parties worldwide. Winner of major Industry awards and accolades for innovation & value, greenstreet creates innovative, feature packed products at affordable prices - for Home Entertainment, SME Business & Office Markets and a well-established test department ensures that only the very best games and utility software gets the greenstreet stamp of approval. Although Scrapbooking has seen a resurgence in recent years it is a tradition which goes back centuries - as far back as the 17th Century when scrap books were known as common-place books or friendship albums. Even the famous Thomas Jefferson (1743-1826) kept newspaper cuttings of his presidency in leather bound books of plain paper. When the Kodak camera became available in the 1880’s people also started to include photographs into their scrapbooks and it became so popular that magazines were produced on how to scrapbook and what to include. In modern times with the strong interest in family history, the distance between friends & family and modern technology - there has been a rise in the popularity of Scrapbooking. It’s not just about organising photos – that would just be a photo album – its about preserving memories by journaling, collecting and saving interesting items to go with the photos such as tickets, newspaper articles, cards, letters, postcards and so much more. Scrapbooking is preserving your special memories for years to come.